As this is the 10th anniversary of the 9/11 attacks (September 11, 2001) in whick 2977 people lost their lives, we here at My Little Empire decided to look at 2 of the better Documentaries about the September 11 attacks. 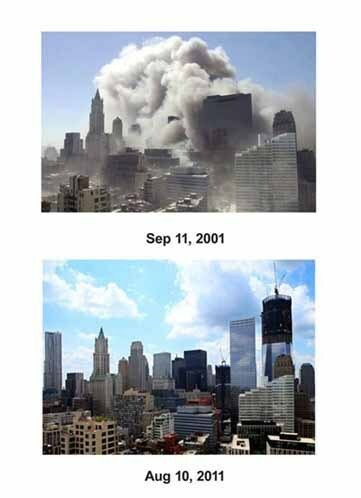 We have put this page togeather as a memorial to the 9/11 attacks on the World trade Center because of the reach and affect these attack have had through out the world. We could have mentioned lots of movie/documentaries here like World Trade Centre, United 93, Flight 93, Loose Change 9/11: An American Coup, Hotel Ground Zero, The Path the 9/11 and Fahrenheit 9/11. 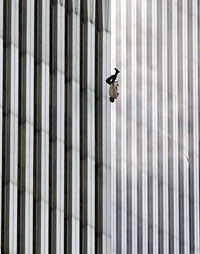 We chose 9/11: Falling Man and 102 Minutes That Changed America mainly because these movie do not set out to blame anyone and there is none of this conspiracy stuff thought out them. We chose these because these are about the people who died and the people who gave their lives to save them. We also choose these because we thing these are the best documentary about 9/11. 102 Minutes That Changed America is a 109-minute American television special documentary film that was produced by the History channel and premiered commercial-free on September 11, 2008, marking the seventh anniversary of the 2001 attacks. The film depicts, in virtually real time, the New York-based events of the attacks primarily using raw footage from mostly amateur citizen journalists. The documentary is accompanied by an 18-minute documentary short called I-Witness to 9/11, which features interviews with nine firsthand eyewitnesses who captured the footage on camera. We should never forget the people that have died in the 9/11 attacks and the people that survive attacks but are still affected by them. This entry was posted in News and tagged 9/11 Docu. Bookmark the permalink.